This guide gives you info on the Doch Gul Armor of Myth questline. The Doch Gul Armor of Myth (DG) Quests start at Mastersmith Equinox at the Hall of Corruption Leystone in the Arcane Sanctum of Gelebron's Tower (Floor 6). These will upgrade your Exalted Dragonlord Armour to Doch Gul Armor of Myth. DG will not break the EDL set bonus when equipping individual parts of the armour. 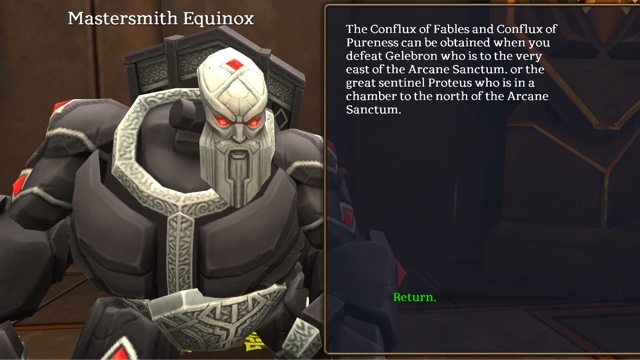 You need to be at least level 215 to enter the Arcane Sanctum to Reach Mastersmith Equinox. To complete the quests you will also need to have completed the EDL armour quests. 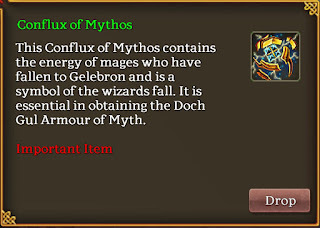 To craft the armour you need to loot certain Confluxes from Proteus and Gelebron. Salutations. You have overcome many challenges to reach Gelebron's Lair, the Arcane Sanctum. 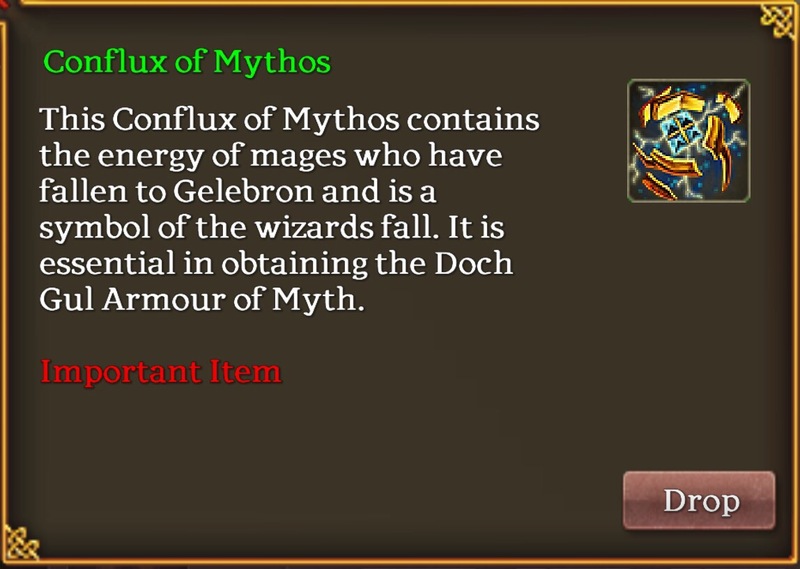 My name is Mastersmith Equinox and I can use my kilns and forge to craft the legendary Doch Gul Armour of Myth. 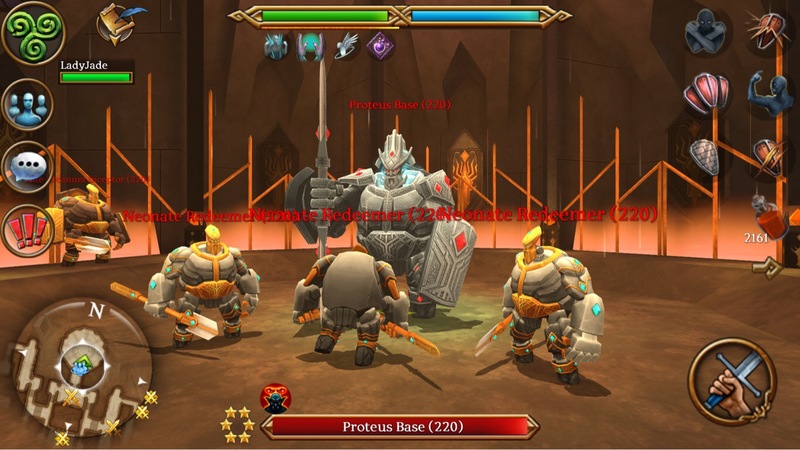 Do you witsh to try my challenges in order to earn the items for me to forge the armour? Once I was a human smith, spending years perfecting my art and crafting the finest armour throughout the ancient lands and was fooled by the temptation of Gelebron and the chance to forge the materials from Doch Gul. Yet Gelebron entrapped me and placed me in this metal shell, threatening my family if I did not try and craft fine armour for both him and his servile horde. I shall do anything to avenge myself upon him.